He graduated from Michigan State University in 1951 with a B.S. from School of Forestry. 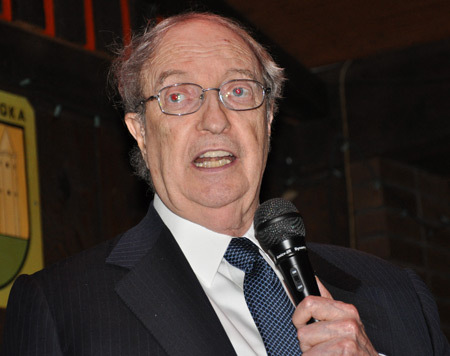 He is the recipient of Honorary Doctor of Laws (1990) Long Island University, Brooklyn, N.Y. and Honorary Doctor of Engineering (1992) Polytechnic University, Brooklyn, N.Y. In 2007, he was appointed Adjunct Visiting Professor at the Land Policy Institute of Michigan State University. Among the many awards that he has received, is the 2005 Urban Land Institute J.C. Nichols Prize for Visionaries in Urban Development. Mr Ratner delivered the keynote address at the 2010 Cleveland International Hall of Fame Induction on Wednesday May 12, 2010 in Cleveland. In Mr Ratner's conclusion, he read a poem called Your Town. Like the kind of Town you'd like. It isn't your Town, - - it's you! When somebody else gets ahead. It isn't the Town, -- it's you! 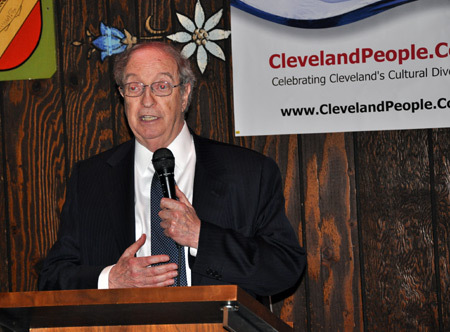 ClevelandPeople.Com thanks Mr. Ratner for being the keynote speaker for the inaugural class of the Cleveland International Hall of Fame. 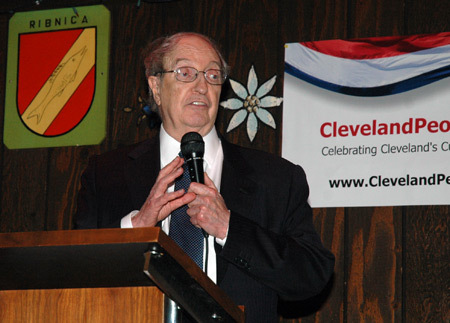 To learn more about opportunities for the 2011 Cleveland International Hall of Fame induction please contact Debbie Hanson directly at deb@ClevelandPeople.Com or 216-381-8310.